Award winning actor, Adjetey Anang, popularly known as ‘Pusher’ has said that being a man depends on how one is able to control his instincts and not necessarily being a womanizer or an alcohol addict. Speaking on ‘Pae Mu Ka’, a segment on Kasapa Entertainment Show, Pusher noted that though many attributed his ‘bad’ role in ‘Things We Do For Love’ as his actual behaviour, the actor contested that he doesn’t engage himself in any of the social vice character he played as in reality. Answering a question posed to him on why he sometimes gets too intimate when acting with colleague actress, Jackie Appiah, Anang revealed that the casts in ‘Things We Do For Love’ series connect since they know themselves well. He has featured in many Ghanaian movies, including Deadly Voyage, A Sting in a Tale, The Perfect Picture and others. He has also featured in a Dutch movie titled Slavery. 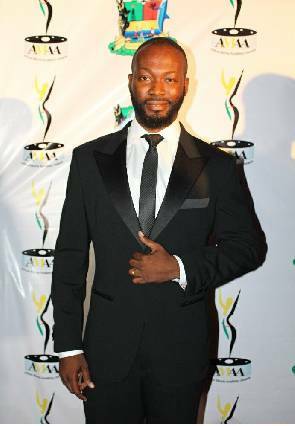 Adjetey Anang has won himself a lot of fans from his role in Things We Do For Love. He has also won awards including An Arts Critique and Review Association of Ghana (ACRAG) Talent Award and A Ghana Union of Theatre Societies (GUTS) Best Actor Award. ‘Pae Mu Ka’ is a new segment on Kasapa Entertainment on Kasapa 102.5FM, it seeks to delve into the real life situations of Ghanaian celebrities. Kasapa Entertainment is hosted by Radio and Television Award nominee, Kojo Preko Dankwa every Saturday from 2pm to 4pm.